Earth Day is Tuesday, time to green your travels. 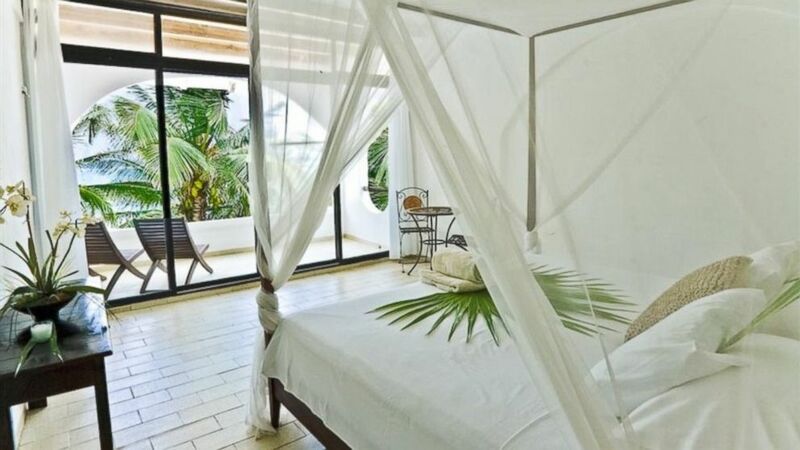 camera (BedandBreakfast.com) Tulum's Casa de las Olas is one of ten inns to make BedandBreakfast.com's list of eco-friendly properties. If Earth Day inspires you to green your travels, check out these 10 eco-friendly inns from the experts at BedandBreakfast.com. The inns have got the green seal of approval for "offer optional water and energy conservation programs, optional towel replacement services, and a commitment to using local products wherever possible." Big Mill Bed & Breakfast, Williamston, N.C. The sites calls this inn "quaint" and that it "equally respects the well-being of mankind as well as the planet." It's located amid the vineyards of the Valpolicella region of Verona and goes green by using "all-natural hand and face soaps, organic shampoos and shower gels, and soft bathrobes made of non-treated cotton." The inn also uses chemical-free soap to launder the linens. According to BedandBreakfast.com, this "LEED-certified bed and breakfast is completely sustainable, pulling solar energy, capturing all of its own water, and adhering to a recycling and composting program to reduce waste and feed the lush gardens throughout the property." Located in the Sangre de Cristo Mountains of north-central New Mexico, the innkeeper, the site said, will "introduce you to the artisan way of life. " The five "beautiful" casitas, on a "ush three-acre piece of farmland" along the Rio Fernando River are constructed of natural adobe. All of the casitas are decorated with hand-woven rugs and textiles made by local artists and feature full kitchens stocked with USDA Certified Organic products. Cedar House Inn & Yurts, Dahlonega, Ga. Located in the heart of the north Georgia wine country approximately one hour north of Atlanta, "this adults-only eco-friendly bed and breakfast and certified wildlife habitat is a popular green getaway destination among artists, environmentalists, and outdoor enthusiasts. As devoted permaculturists, innkeepers Fred and Mary Beth Tanner have planted more than 300 trees and 30 varieties of edible plants on the property to encourage wildlife, provide food, and reduce the carbon footprint of their guests." The Inn at Locke House, Lockeford, Calif.
At this "charming" bed and breakfast, the innkeepers have placed solar panels on the barn roof and in the field to generate nearly all of the inn's electricity and have installed energy-efficient appliances throughout the property. Breakfast is prepared with "fresh, local organic products and ingredients," according to BedandBreakfast.com. This "stunning" bed and breakfast is housed in a classic Victorian building in the heart of Portland's historic Parkside neighborhood. "Innkeepers Tim Karu and Jacob Krueger have committed themselves to creating an inn that is both environmentally and economically sustainable by replacing all light fixtures with low-energy LED bulbs, repainting the interior with nontoxic zero-VOC paint, recycling and composting, and using goods made from post-consumer recycled materials." Milkweed Mercantile Eco Inn, Rutledge, Mo. Located at Dancing Rabbit Ecovillage in northeastern Missouri, this "unique eco-friendly inn provides an entirely green alternative to a traditional bed and breakfast, allowing guests to experience a completely sustainable lifestyle." Rainwater is harvested, stored in a 7,000-gallon cistern built underneath the front porch, and filtered to provide all of the water for drinking, cooking and bathing. The two-story building that is solar- and wind-powered and features a café that serves organic meals made with local, seasonal ingredients. Situated on Lake Superior three miles south of Bayfield, Wisconsin, BedandBreakfast.com called it ideal "for those who love sailing and kayaking in the summer and skiing and dog-sledding in the winter." The innkeepers use solar panels to heat the water, provide guests with organic cotton and other eco-friendly linens, use non-toxic cleaning products and recycled materials where appropriate, and rely on energy-efficient appliances and lighting. Thyme in the Country, Hudson, N.Y.
"As the only eco-friendly inn in the upstate town of Hudson, N.Y., this quaint bed and breakfast offers a lifestyle that revolves around green practices that minimize guests' environmental impact, as well as a style of hospitality that is warm and wholesome." Three solar panels provide two-thirds of the inn's electricity, and innkeeper Mary Koch conserves water by using energy-efficient appliances for dishwashing and laundry, as well as collecting rainwater in barrels for the on-site organic vegetable, herb, and flower gardens.